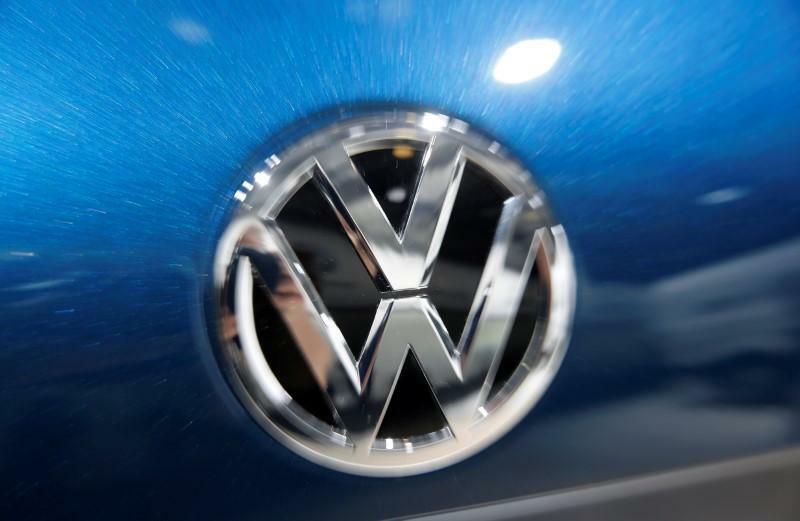 BERLIN (Reuters) - Volkswagen was fined one billion euros ($1.18 billion) over diesel emissions cheating in what amounts to one of the highest ever fines imposed by German authorities against a company, public prosecutors said on Wednesday. The fine is the latest blow to Germany's auto industry which cannot seem to catch a break from the diesel emissions crisis. Germany's government on Monday ordered Daimler to recall nearly 240,000 cars fitted with illicit emissions-control devices, part of a total of 774,000 models affected in Europe as a whole. Munich prosecutors this week widened an emissions cheating probe into VW's luxury brand Audi to include Chief Executive Rupert Stadler among the suspects accused of fraud and false advertising. The prosecutor's office in Braunschweig imposed the fine against VW on Wednesday for organisational deficiencies which failed to prevent "impermissible software functions" from being installed in 10.7 million cars between 2007 and 2015. The fine did not address any civil claims or claims by vehicle owners, the prosecutor's office said in its statement. It does, however, end regulatory offence proceedings against Volkswagen, which the Wolfsburg-based carmaker said would help to settle further administrative proceedings against VW in Europe. VW is far from being out of the woods. The carmaker's new chief executive, Herbert Diess, and the group's chairman Hans Dieter Poetsch are still being investigated by Braunschweig prosecutors for suspected market manipulation. Poetsch, also CEO of VW's majority stakeholder Porsche SE , is separately being investigated by prosecutors in Stuttgart over the same suspicions. "Courts will now hardly be able to dismiss consumer complaints," said Jan-Eike Andresen of platform MyRight which has mandated U.S. law firm Hausfeld to pursue civil claims. Wednesday's fine was not included in the 25.8 billion euros of provisions that VW set aside for the diesel cheating scandal, and would hit earnings, analysts at Evercore ISI said. Finance chief Frank Witter will update investors on Aug. 1 on the implications of the fine for the carmaker's cash position, alongside its second-quarter results, VW said. "Paying out 1 billion euros is extremely painful but in the broader context it isn't a material number," Evercore ISI analyst Arndt Ellinghorst said, citing VW's 24.3 billion-euro net cash position after the first quarter.